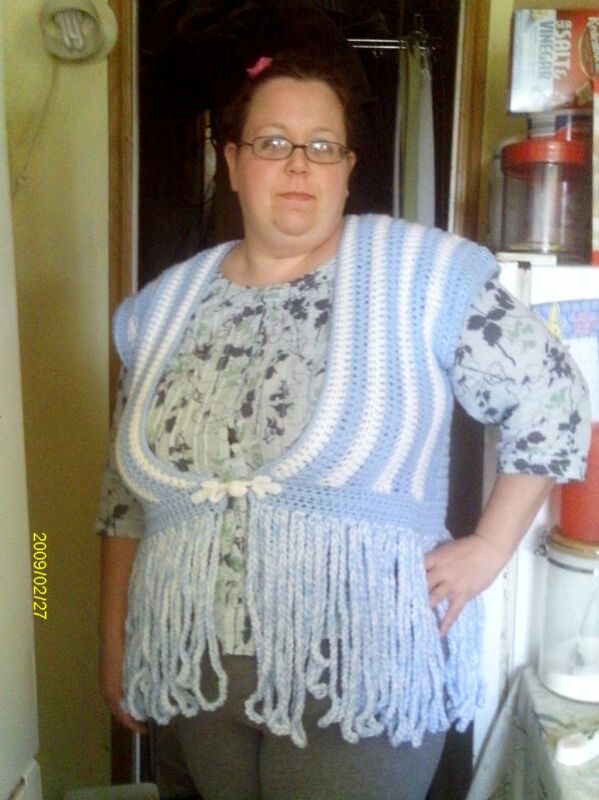 This is a guide about making a crocheted calypso cardigan. 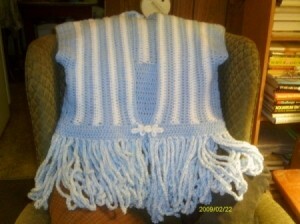 This fringed vest is pretty easy to make with a free pattern. 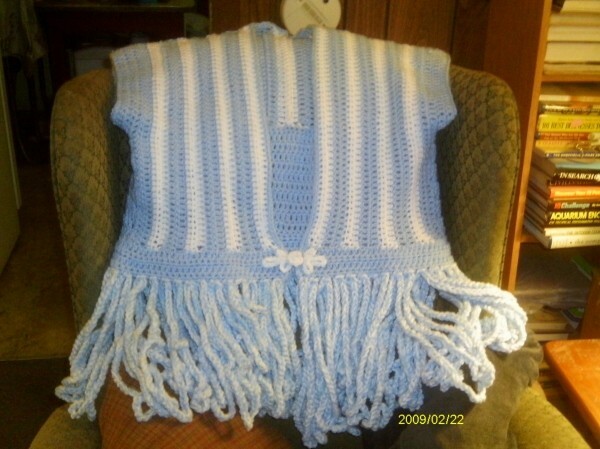 This is a cardigan/vest I crocheted for my daughter. 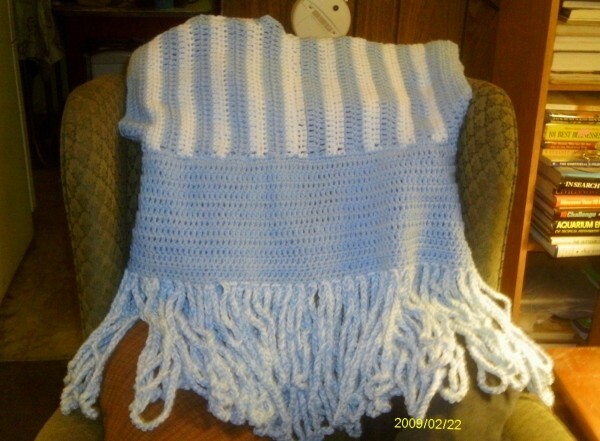 I made it with Red Heart Super Saver yarn in white and light blue. It is the first piece of adult clothing I have made besides numerous shawls. The pattern comes in sizes up to 3x. I would highly recommend this pattern since it turns out so nice. You can use any color(s) you like. The pictures show the front, the back, and my daughter modeling it. She likes things form fitting; you can make the vest looser so that it closes more in the front. The fringe is crocheted chains, easy to make, and very jaunty. Approximate Time: It took a few weeks working on and off.